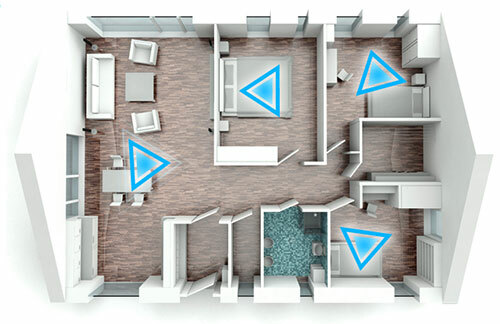 Today’s systems make it so much easier to distribute crystal clear audio to multiple rooms in your home or business. Once you’ve experienced the pleasure of great music wherever you are, you’ll find your time at home more relaxing and soothing, with less time hassling over complicated audio/video systems. Our systems are set up to be easy-to-operate and give you one-touch control over the entire system. They also allow for different music in different rooms at the same time. How cool is that?